Boldly defying Crowleyâs warning not to comment on the Book of the Law, Ipsissimus Don Webb provides in-depth interpretation from both Black and White Magical perspectives, including commentary from Dr. Michael A. Aquino, who served as High Priest of the Temple of Set from 1975 to 1996. Webb examines each line of the Book in the light of modern psychology, Egyptology, existentialism, and competing occult systems such as the teachings of G. I. Gurdjieff and contemporary Left-Hand Path thought. Discarding the common image of Crowley formulated in a spiritually unsophisticated time when the devotee of the Left-Hand Path was dismissed as a selfish evil doer, Webb unveils a new side of Crowley based on his adoption of the Loki archetype and his aim to become a vessel of love for all humanity. 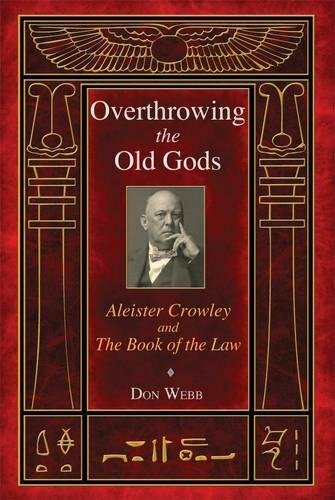 In so doing, he shows how the Book of the Law is connected to both Right- and Left-Hand Paths and reveals how Crowleyâs magical path of mastery over the self and Cosmos overthrew the gods of old religion, which had kept humanity asleep to dream the nightmare of history. Providing in-depth analysis of Crowleyâs sources and his self-identification with the First Beast of Revelation from a profound esoteric perspective, Webb takes his views out of the Golden Dawn matrix within which he received the Book of the Law and radically recasts the Cairo Working as a text of personal sovereignty and a relevant tool for personal transformation. About: New commentaries on Aleister Crowley’s Book of the Law reveal how it is connected to both Right- and Left-Hand Paths • Examines each line of the Book of the Law in the light of modern psychology, Egyptology, Gurdjieff’s teachings, and contemporary Left-Hand Path thought • Explores Crowley’s identification with the First Beast of Revelation as well as his adoption of the Loki archetype for becoming a vessel of love for all humanity • Recasts the Cairo Working as a text of personal sovereignty and a relevant tool for personal transformation • Includes commentary on the Book of the Law by Dr.